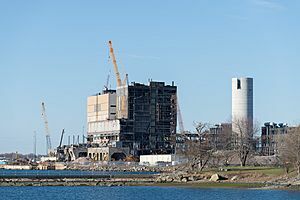 Salem is a coastal city in Essex County, Massachusetts, in the United States, located on Massachusetts' North Shore. It is a New England bedrock of history and is considered one of the most significant seaports in Puritan American history. The city's reported population was 41,340 at the 2010 census. 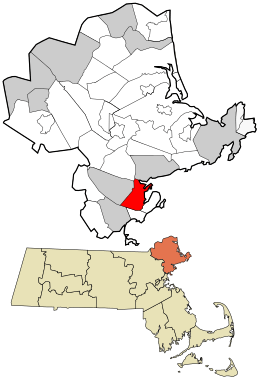 Salem and Lawrence are the county seats of Essex County, though the county government was abolished in 1999. 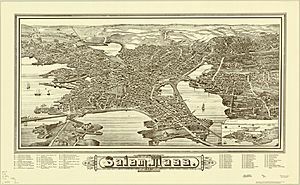 The city is home to the House of Seven Gables, Salem State University, the Salem Willows Park, Forrest River Park, Federal Street District, Charter Street Historic District, and the Peabody Essex Museum. 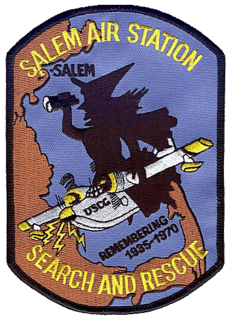 Salem is a residential and tourist area which includes the neighborhoods of Salem Neck, Downtown Salem District, The Point, South Salem and North Salem, Witchcraft Heights, Pickering Wharf, and the McIntire Historic District (named after Salem's famous architect and carver Samuel McIntire). 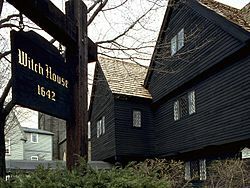 Much of the city's cultural identity reflects its role as the location of the Salem witch trials of 1692, as featured in Arthur Miller's The Crucible. Police cars are adorned with witch logos, a local public school is known as the Witchcraft Heights Elementary School, the Salem High School athletic teams are named the Witches, and Gallows Hill is currently used as a playing field for various sports, originally believed to be the site of numerous public hangings. Tourists know Salem as a mix of important historical sites and a vibrant downtown that has more than 60 restaurants, cafes, and coffee shops. In 2012, the Retailers Association of Massachusetts chose Salem for their inaugural "Best Shopping District" award. 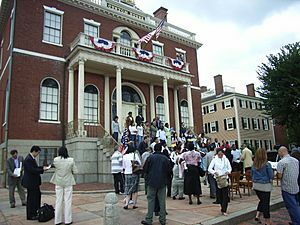 President Barack Obama signed executive order HR1339 on January 10, 2013, designating Salem as the birthplace of the U.S. National Guard. More than one million tourists from all around the world visit Salem annually, bringing in at least $100 million in tourism spending each year. More than 250,000 visited Salem over Halloween weekend in 2016. Salem is located at the mouth of the Naumkeag river at the site of an ancient American Indian village and trading center. It was first settled by Europeans in 1626, when a company of fishermen arrived from Cape Ann, led by Roger Conant. 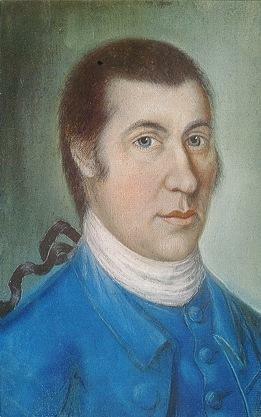 Conant's leadership provided the stability to survive the first two years, but he was replaced by John Endecott, one of the new arrivals, by order of the Massachusetts Bay Company. Conant graciously stepped aside and was granted 200 acres (0.81 km2) of land in compensation. 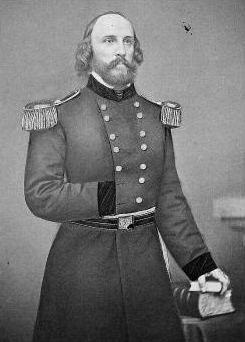 These "New Planters" and the "Old Planters" agreed to cooperate, in large part due to the diplomacy of Conant and Endecott. In recognition of this peaceful transition to the new government, the name of the settlement was changed to Salem, a hellenized form of the word for "peace" in Hebrew (שלום, shalom) which is mentioned many times in the Bible and associated with Jerusalem. In 1628, Endecott ordered that the Great ("Governor's") House be moved from Cape Ann, reassembling it on what is now Washington Street north of Church Street. When Higginson arrived in Salem, he wrote that "we found a faire house newly built for the Governor" which was remarkable for being two stories high. A year later, the Massachusetts Bay Charter was issued creating the Massachusetts Bay Colony with Matthew Craddock as its governor in London and Endecott as its governor in the colony. John Winthrop was elected Governor in late 1629, and arrived with the Winthrop Fleet in 1630, beginning the Great Migration. Roger Conant died in 1679 at the age of 87; a large statue commemorating him stands overlooking Salem Common. Salem originally included much of the North Shore, including Marblehead. 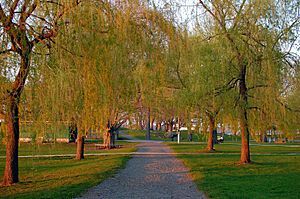 Most of the accused in the Salem witch trials lived in nearby "Salem Village", now known as Danvers, although a few lived on the outskirts of Salem. Salem Village also included Peabody and parts of present-day Beverly. 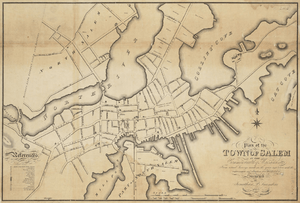 Middleton, Topsfield, Wenham, and Manchester-by-the-Sea were once parts of Salem. Puritans had come to Massachusetts to obtain religious freedom for themselves, but had no particular interest in establishing a haven for other faiths. 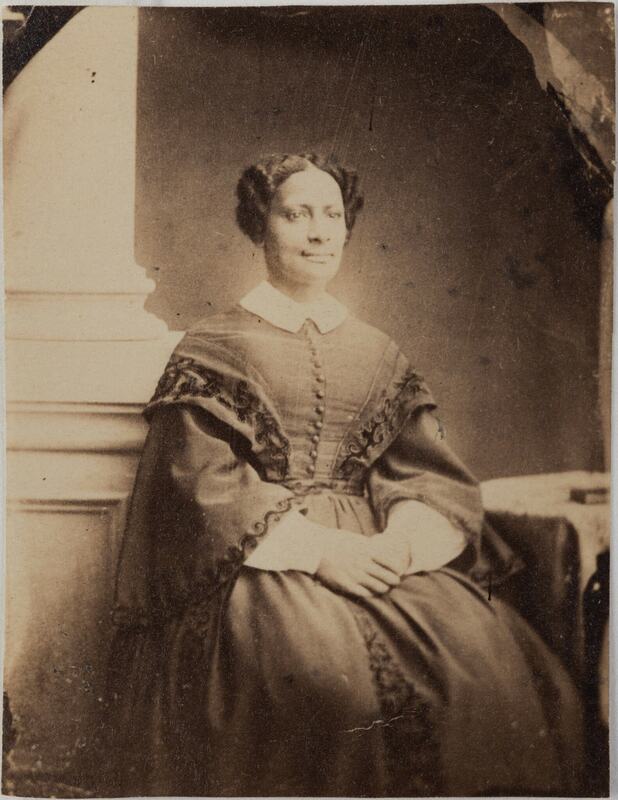 The laws were harsh, with punishments that included fines, deprivation of property, banishment, or imprisonment. 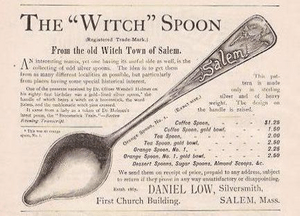 One of the most widely known aspects of Salem is its history of witchcraft allegations, which in many popular accounts started with Abigail Williams, Betty Parris, and their friends playing with a Venus glass (mirror) and egg. 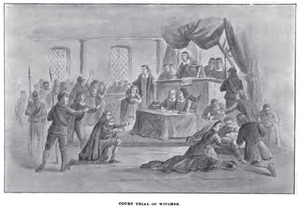 Salem is also significant in legal history as the site of the Dorthy Talbye trial, where a mentally ill woman was hanged for murdering her daughter because Massachusetts made no distinction at the time between insanity and criminal behavior. 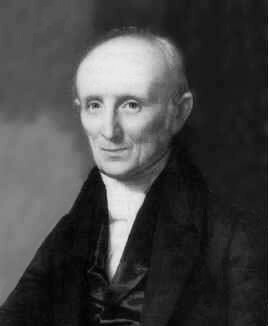 William Hathorne was a prosperous businessman in early Salem and became one of its leading citizens of the early colonial period. He led troops to victory in King Philip's War, served as a magistrate on the highest court, and was chosen as the first speaker of the House of Deputies. He was a zealous advocate of the personal rights of freemen against royal emissaries and agents. His son Judge John Hathorne came to prominence in the late 17th century, when people generally believed witchcraft to be real. 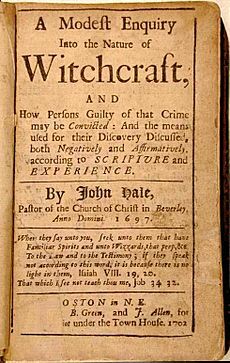 Nothing caused more fear in the Puritan community than people who appeared to be possessed by demons, and witchcraft was a serious felony. Judge Hathorne is the best-known of the witch trial judges, and he became known as the "Hanging Judge" for sentencing witches to death. During the American Revolution, the town became a center for privateering. Although the documentation is incomplete, about 1,700 Letters of Marque, issued on a per-voyage basis, were granted during Revolution. Nearly 800 vessels were commissioned as privateers, and are credited with capturing or destroying about 600 British ships. 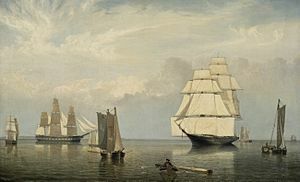 During the War of 1812, privateering resumed. The Old China Trade left a significant mark in two historic districts, Chestnut Street District, part of the Samuel McIntire Historic District containing 407 buildings, and the Salem Maritime National Historic Site, consisting of 12 historic structures and about 9 acres (36,000 m²) of land along the waterfront in Salem. 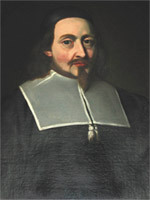 Elias Hasket Derby was among the wealthiest and most celebrated of post-Revolutionary merchants in Salem. 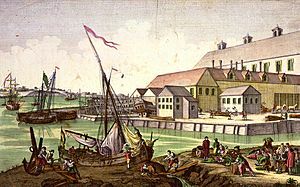 Derby was also the owner of the Grand Turk, the first New England vessel to trade directly with China. Thomas Perkins was his supercargo and established strong ties with the Chinese and garnered the Forbes fortune through his illegal opium sales. 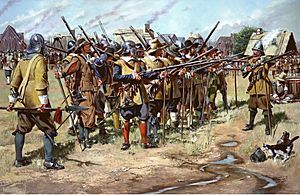 On August 19, 2010, Governor of Massachusetts Deval Patrick signed HB1145, "An Act Designating the City of Salem as the Birthplace of the National Guard." This as later approved by the U.S. House of Representatives in March 2012, and was signed into law by President Barack Obama on January 10, 2013. This executive order designated the City of Salem, Mass., as the birthplace of the U.S. National Guard. The Samuel McIntire Historic District represents the greatest concentration of 17th and 18th century domestic structures anywhere in America. It includes McIntyre commissions such as the Peirce-Nichols House and Hamilton Hall. The Witch House or Jonathan Corwin House (circa 1642) is also located in the district. Samuel McIntyre's house and workshop were located at 31 Summer Street in what is now the Samuel McIntire Historic District. For the 2013 season, service is expected to start in the last week of May. The Salem City councilors approved a five-year contract with Boston Harbor Cruises to operate the city’s commuter ferry from 2013 to 2017. Also new for the 2013 season, Boston Harbor Cruises will offer a 20 percent discount to Salem residents for non-commuter tickets. The City of Salem has approved a seasonal restaurant with a liquor license at The Salem Ferry dock to be operated by Boston Harbor Cruises. The plan is to build a 600-square-foot (56 m2) building plus patio seating. The City announced that the new plant will begin its operations in June 2017. 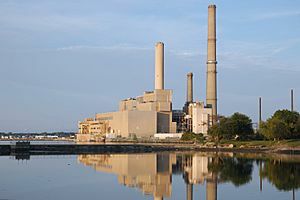 It will provide clean, efficient, and environmentally-friendly energy to Salem, and its surrounding areas. In the city, the population was spread out with 20.2% under the age of 18, 10.4% from 18 to 24, 33.4% from 25 to 44, 21.9% from 45 to 64, and 14.1% who were 65 years of age or older. The median age was 36 years. For every 100 females there were 86.5 males. For every 100 females age 18 and over, there were 83.5 males. In 2011, the Peabody Essex Museum announced it had raised $550 million with plans to raise an additional $100 million by 2016. The Boston Globe reported this was the largest capital campaign in the museum's history vaulting the Peabody Essex into the top tier of major art museums. The Peabody Essex Museum trustees co-chairs Sam Byrne and Sean Healey with board president Robert Shapiro led the campaign.$200 to $250 million will fund the museum’s 175,000-square-foot expansion bringing the total square footage to 425,000 square feet. In 1855, located on 210 Essex Street, was founded the Salem Five Cents Bank, one of the oldest still functioning American banks. Salem, Massachusetts Facts for Kids. Kiddle Encyclopedia.